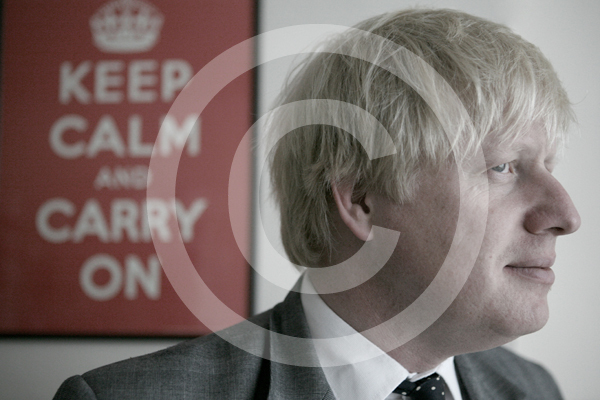 Would Boris do it dreckly? Well, it doesn’t get anymore random than this up here in rural Oxfordshire. 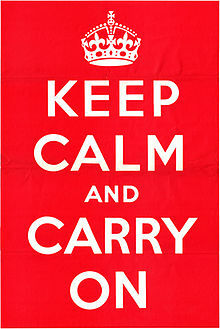 It all started at Becky’s work in a picture framers when some years ago a customer brought in a poster that said KEEP CALM AND CARRY ON, a propaganda poster produced by the British Government in 1939 intended to raise the morale of the British public in the event of invasion. Several years later in the 2000’s someone takes in a box of books to an antique book store, but little did they know what would lie ahead. The bookshop started printing a few for sale and Becky’s customer purchased one. Becky loved it and decided that for £6 she would get her own direct from the supplier, she got it all framed up and it was in the living room of our first home together for a couple of years. That home was a house next door to the South Oxfordshire Conservatives Association when Boris Johnson was MP for Henley-on-Thames. Shortly after moving in I was walking down the high street of Watlington where we lived and I saw a little swallow sitting on the pavement trying to catch his breath, I think they had just flown back over from their winter holidays and this little chap was just exhausted and decided a crash landing in Watlington would be nice. So, me being ME picked up this little chap who clutched my index finger with his feet, wings out almost horizontally and we headed down the high street – I was going to save his life! With a few curious looks along the way we made it home, rather than taking him inside I put him in the back garden (which we shared with the Conservatives!) in the V of a silver birch tree so he could have a rest and get going when he felt fit enough. In the house I went to make some lunch. Shortly after lunch I was washing up and looked out of the window in shock of a photographer setting up an electronic flash head, camera and windsor chair in the back garden. Intrigued as to what was going on I kept an eye out only to see Boris Johnson loitering around the garden gate. 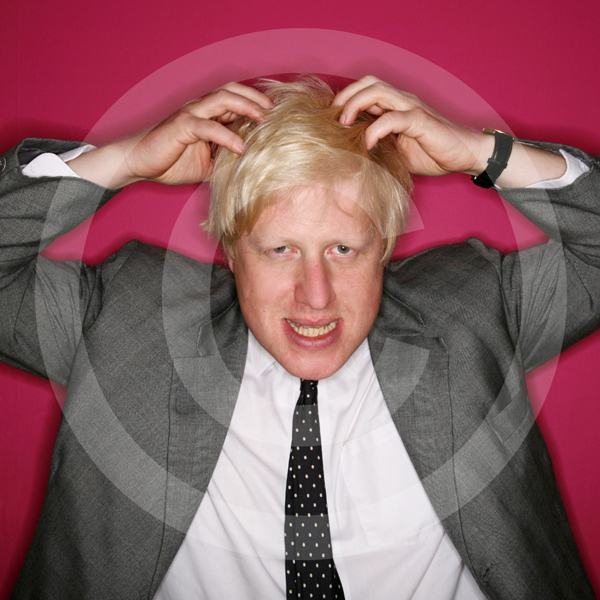 Boris was there for a portrait shoot for Oxfordshire Life magazine! So there is this little bird sitting feet from Boris Johnson in what I though was the quietest garden in Watlington – not on that day! That little bird never left the garden, we think one of the neighbours or our over exuberant cat had got the better of it. However, that little bird had his moment of fame, not only did he rub shoulders with the now Mayor of London, but to my astonishment on browsing the magazines of WH Smiths saw a front cover image of Boris and do you know what? that little bird was sitting just above his head (out of focus!) in the background of the image! On another completely random note, the photographer was a guy from Cornwall who I knew of through a friend who had moved to the Cotswolds to concentrate his photography career on County Life titles. 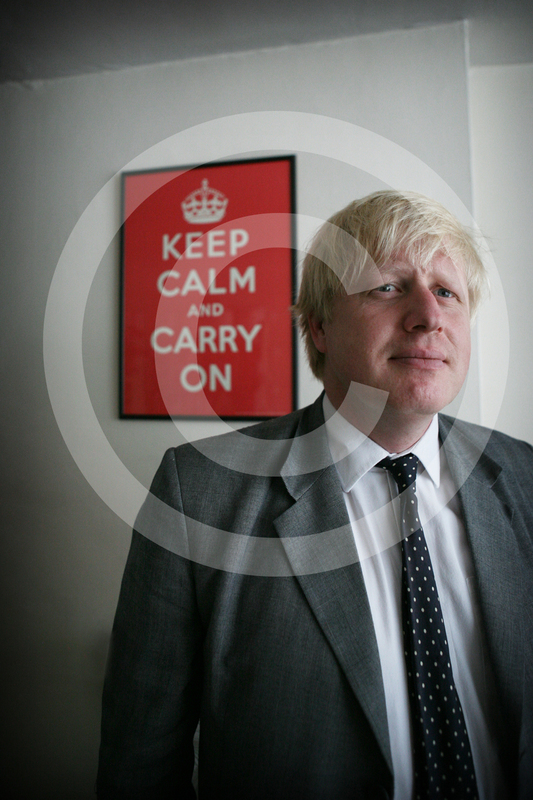 So, what about the Keep Calm and Carry On poster you may ask? 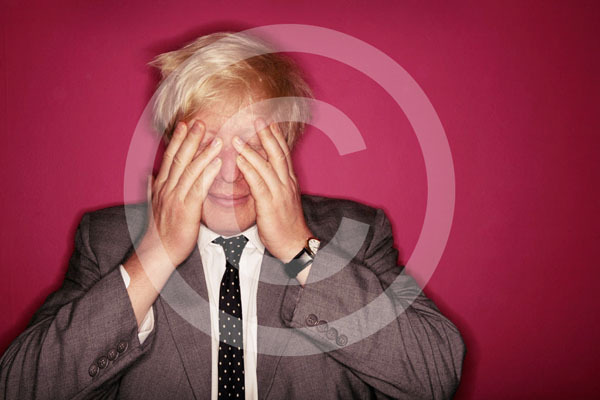 After that session with Boris in the garden I spoke to one of his right hand men in the office to see if I could grab him one afternoon for a photo shoot. Not long after asking the reply came back from Boris agreeing to do the shoot but I only had five minutes and it would have to be in our home! Wow, what would I to do? My colleague and I devised a few ideas in the run up to the shoot to maximise the pictures I would take in the short time I had. So one afternoon Boris came to the house for yet another photo call. 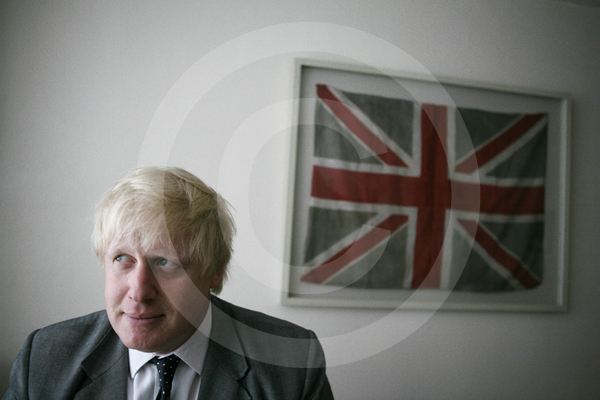 We started in the living room, ‘ok Boris if you could just stand there in front of that poster and look out the window and err…I will take a few shots there’ I probably said nervously. The session moved on to a few other placed around the house and these pictures can be seen at the bottom of the post. 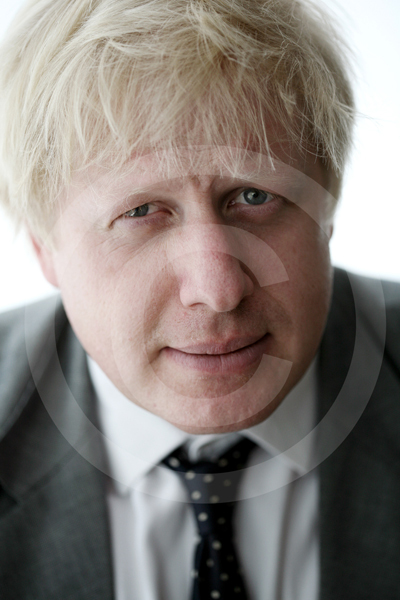 Our experience of photographing Boris Johnson was certainly very enjoyable and something I will never forget. So where is this Keep Calm and Carry on post going? Your guess is as good as mine…. just kidding but I will get there dreckly! Fast forward now to 2012 and our Keep Calm and Carry On poster is religated to sitting on top of a wardrobe, faded from the sun and looking pretty tired, it almost looks like an original from 1939. In the last few weeks several people have visited my site as a result of typing into a search engine Keep Calm and do it Dreckly as I have the word Dreckly in a few places around the site so I guess that’s how I get the hits. I’ve been thinking I must do a post on this poster and direct people to where they can buy one from but until now have not got around to it. Then yesterday, from out of the blue my big bro’ sent me this. So, finally I have got around to the post and although Cornish men will do it dreckly they do get around to it when they put their mind to it! For all those interested in a Keep Calm and do it Dreckly (however its spelt!) check out this website here. 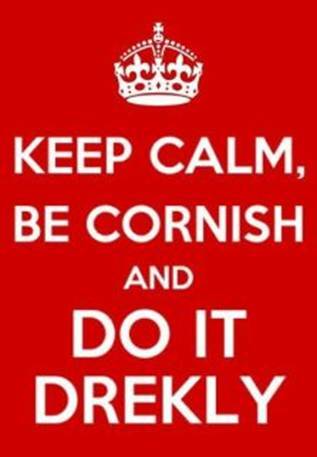 You can pretty much have any text you would like, so whether Cornish or not get on here and have your own Keep Calm poster printed! Please note these images are copyrighted and reproduction is not permitted. If you wish to use them please email mysaffronbun@gmail.com. Thank you.